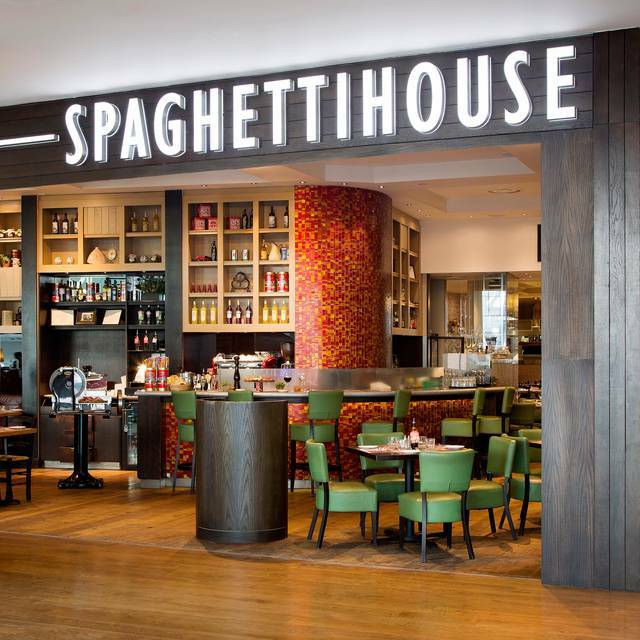 Spaghetti House Westfield London is located in 'The Loft', directly above the bustling communal dining area overlooking 'The Atrium' & just below the cinema complex. Westfield is the Ultimate Shopping Experience, over 300 shops under one roof. 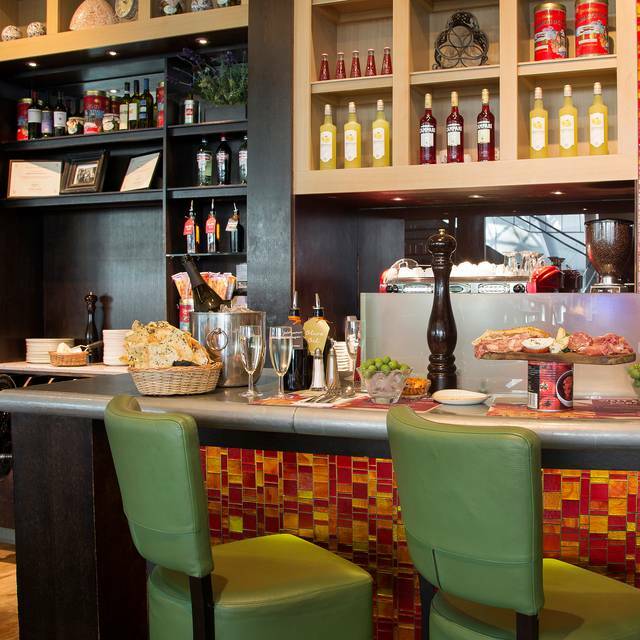 The restaurant has a 'contemporary retro' feel, large & bustling, serving shoppers & cinema goers. Theatre is provided by the chefs in the open kitchen cooking all dishes to order. 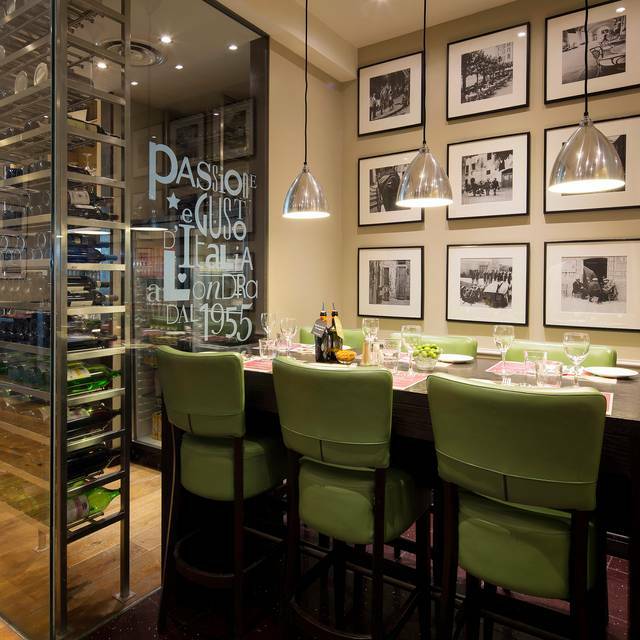 The menu offers sharing appetisers, char-grilled sirloin steaks, healthy tasty salads & gluten free options. The menu offers something for everybody. Families are welcome there is 'Menu per Bambini' for children under 12 and a children's activity book to keep them busy! The Spaghetti Hose philosophy is to source the best & freshest ingredients cook everything including the children’s meals to order, so you can enjoy a truly home cooked Italian meal. Honestly - this place needs to hire friendlier staff. Two of them were completely unsuitable, especially one of the managers on the floor. Couldn't wait to walk away within seconds of serving the table. I mean when you ask someone how the food is, at least try and pretend you're listening to the answer! When we ask for black pepper....we mean freshly ground pepper....not the cheap stuff you leave on the table. Food took a while to arrive (25mins) when we asked for everything (starters and mains) to come at the same time. I don't know why you get penalised whenever we go for this option but that was a let down. Food was well cooked and enjoyable but the experience was not great. And back to the useless manager - when we ask for a receipt after paying with a credit card, we want the credit card receipt - not the pre-printed bill with the list of items ordered. Four of us came here after the cinema. It was quite busy but we had a booth which was comfortable and not noisy. Our waitress was first day on the job but keen to please. I had a lovely mushroom risotto, one of the best I've had, everyone enjoyed their meal. There was a mistake with the bill, in our favour, which they corrected but then gave us a limoncello each so well handled. I would go back. We had a free flowing meal which was amazing! The Bubbly was great especially for a birthday celebration. We had a good laugh with the waiter who was very lovely and the manager as well. The food was fantastic. I had the beef which was cooked to perfection. The atmosphere was postive. Will dine again! I think you get what you pay for...the quality if the prawns and pasta was just ok..I suppose for a chain it was ok but was disappointed in the quality of the prawns and pasta.. Took my parents for shopping in Westfield and thought we would try this branch of the Spaghetti House. We were greeted by a very friendly front of house member of staff, and were shown to a nice quiet table for four. The food was as expected and no complaints there, all the staff was attentive and friendly. Everything was decent enough for an evening meal. I must have been going to various Spaghetti outlets for almost thirty years and the food has never disappointed. This one at Westfield is very handy for the Vue pictures upstairs. Great place to go for lunch/dinner. A lot of options on the menu for good value and food tastes great. The staff are friendly and helpful and service was fast. This is not the best place to eat in westfield from a number of aspects - service is indifferent, and ambiance is not the best, but its saving grace is that on Saturdays, they serve a ver nice lobster. However, when we last visited the'd run out by 8pm, and with that, we were out of there. There are too many better options nearby. The food was good,the waitress found it difficult on what I was saying. The location was a bit difficult to get to for someone who not been before but i liked their cocktail drink that I purchased. The Spaghetti House is a very old chain and knows its place well and what it does. The welcome is good and staff attentive. Food was a tad overpriced for what it is. Wine was nice. Did not use any deals here. It is upstairs and good to get away from the crowds and relax a little. I always like booths for eating which they have. Wish they tidied up at the back - old boxes and 'things' make it look less professional than it actually is. Once seated it took forever for the waitress to take the drinks order. The food did come fairly quickly and my pasta dish was very good. However my drink only came halfway through my meal and so did the parmesean. After receiving our food the waitress forgot about us and we were not offered desserts or coffee (fair enough we did bring our own birthday cake) All in all the food was good but the service was awful! The Spaghetti House in westfield. Got a great table on a very very busy day, served quickly and with very pleasant staff. The portions are excellent, large enough easily to fill you with just a main course. Reasonable value, and the important bit...the actual food...very good, nice flavours and well cooked. Average food served by great staff in a big mall beside a cinema! Nothing else really to say! The food choice was great especially as 1 person was vegetarian and options can sometimes be limited. We also had 2 children with us and the staff were great with them...fantastic desserts and an enjoyable Father's Day dinner. 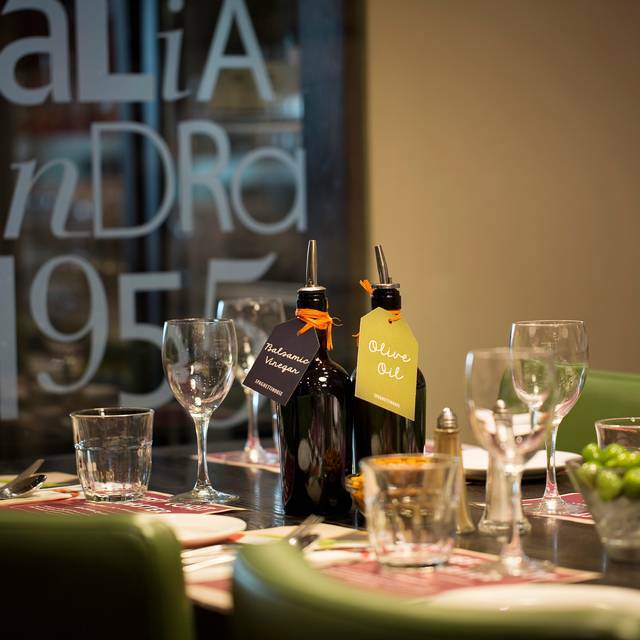 Spaghetti House in Westfield London W12 - service is friendly and efficient, the menu includes pasta, pizza and a good range of other meals. We had a pizza and grilled lamb cutlets which were cooked as we requested. Very good value for money. A group of work colleagues went to Spaghetti House in London for an evening meal. 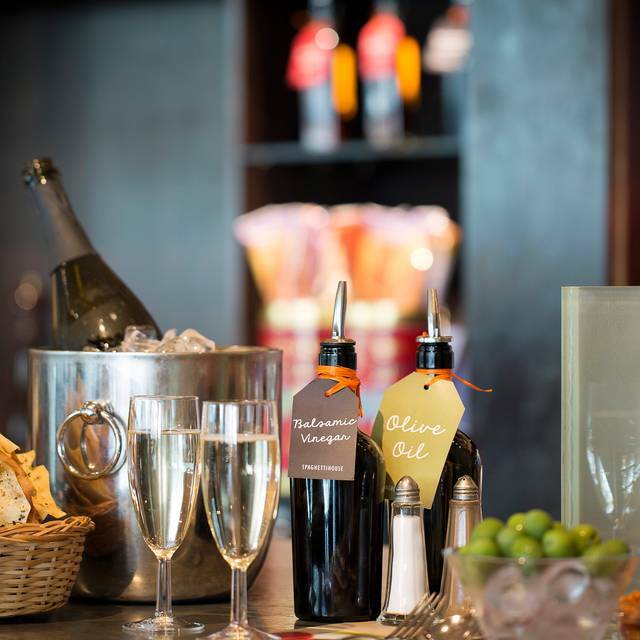 The food was lovely and the service was excellent, very friendly and efficient. Would recommend. The pasta (vongole) is pretty tasteless but at least it's quite a generous portion. The seafood pizza is awful. Very few seafood and the crust is not really great. It is £17 per head (3 of us) so it is not bad in value. Top find. Excellent food and service. Had a nice meal at Spaghetti House, Westfield. Arrived 40 mins late due to travel problem to be told that table had been given away, however another (good) table was found. Seafood risotto & seafood pizza were very good. I like the concept where the customers can help themselves with the pot of fresh basil plant on every table to go with the pasta. Its a casual eating place with long tables and benches. The baked pasta filled with chocolate as dessert was heavenly. took clients there, very relaxed atmos, im here almost weekly and love it, can never get borded ith the menu.